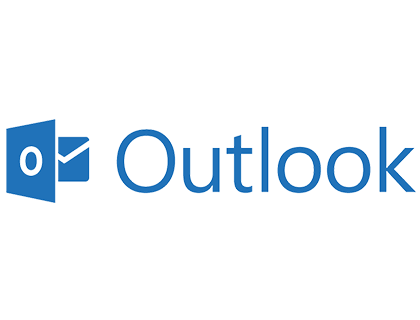 Learn more about Microsoft Outlook professional email account for businesses of all sizes. Includes pricing, reviews, company info, and FAQs. Microsoft Outlook is a professional email account for businesses of all sizes. Aside from sending and receiving email, the application allows you to carry out a variety of tasks, such as scheduling meetings using the calendar, forwarding and tracking, storing directory details, and more. Pros: Clean interface, calendar, mobile features, customization. Cons: Requires an update, lags occasionally. Bottomline: An intuitive and simple to use professional email account for SMBs. What is the price range of Microsoft Outlook for business? Microsoft Outlook costs between $5.00 and $12.50 per user per month (based on an annual commitment). How do I get in touch with Microsoft Outlook customer service? You can contact Microsoft customer service on 1 (800) 892-5234. What are some Microsoft Outlook alternatives? One thing I can't wrap my head around: if I receive a big (10Mb) email through a slow connection, Outlook completely freezes until the email has finished downloading. I'm talking, not even rendering correctly, and showing white rectangles instead of drawing components. How on earth can this not be a tested use case? What I like the most using Outlook is the ability to drag any item over any section... For example, I can drag an email to the task folder and automatically having a task related to this email. Another example is to drag a task over the calendar to automatically having a calendar entry related to this task etc. Another thing I like is using OneNote for writing meeting minutes. And I like to have all my incoming emails automatically categorized using rules. The category is then kept if you send an email to the task or calendar section. I’m now using Outlook 360 on a Mac and I have no choice about it. Last time I used Outlook was on Windows about 5 or 6 years ago.I have many of the same complaints about it now as I had back then, I don’t use a lot of the features but simple things should just work. Two off the top of my head: Group by conversation should show mail I’ve sent. Case sensitive search. Email from within my domain goes to junk email. E.g. mail on problem tickets I want to watch end up in junk. Note neither of these are UI issues, but basic functionality. As far as I can tell little but UI has changed since the last time I used Outlook. While the device size helps (iPhone XS Max), the improvements that have been made to @Outlook have helped me almost entirely replace my laptop for my cellphone for all but major work. I really like the new @Outlook macOS dark mode and icons :-) Great work! This one simple ‘Remove’ button in the inbox is one of my favorite new @Outlook mobile features. Why? With one quick gratifying tap I remove a meeting from my calendar and get time back! Outlook began as Hotmail before evolving into Outlook.com. Some of its features include a very clean interface, a huge amount of space for storing your emails and attachments,unobtrusive advertising, tons of subtle features for convenience, options for labels and custom folders, and more.